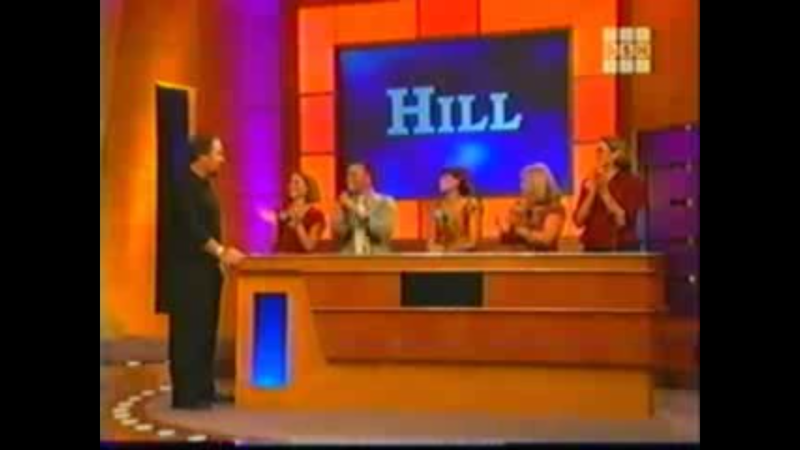 It’s Time to Play the Family Feud! My neighbors must’ve thought I was a nut bag. Just five days after our audition I had the magic post card in my hand! They said it could take two to four weeks, what a great surprise! I was standing at the mailboxes doing the happy dance, not caring who saw! I ran back to the house, grinning ear to ear. I threw my bills on the counter and grabbed the phone to call Jim to spread the exciting news. “WHOO! YEAH!” Jim’s volume matched mine. He was as happy as I was. We had a ton of medical debt that needed to be taken care of and I had a brother and sister I wanted to go see. We could really use some extra money to pay those bills and at this point, I think everyone on our team could use a little financial boost. Next, I called my mom and sister, Kim. They were ecstatic. Kim’s already squeaky voice went up another two levels, something I never thought possible. With Jennifer, I had to leave a message but I knew should would be stoked. We were asked to return to the studio in two weeks for an actual chance to get on the show. They had told us they would be filming five episodes and unfortunately, didn’t have enough time to use all of the families that were invited back. The final decision of who would play depended solely on the energy we brought that morning. We knew we had to bring it. Our spirited team of five met bright and early at my parent’s on game day. We all jumped into Mom’s minivan and headed off to Hollywood. Jim flowed effortlessly through traffic as we took turns reading the trivia board game questions. It was apparent that my mom was the most nervous; she was talking a million miles per minute and giggling incessantly at the most random things. 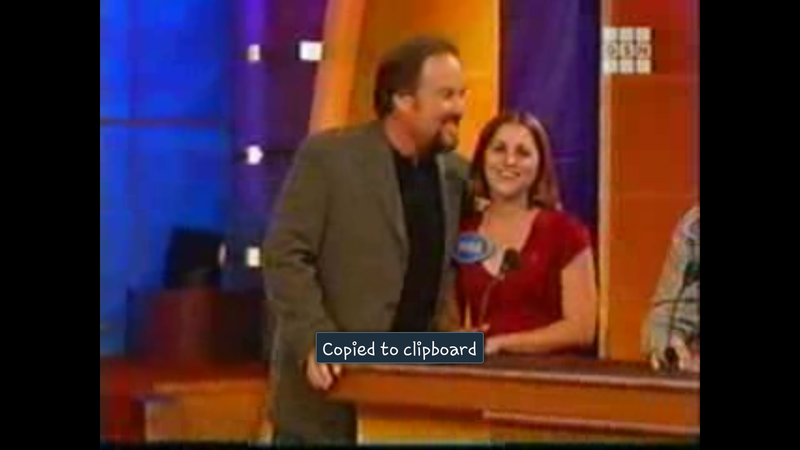 Freeways made her nervous anyway, and when you throw the pressure of a game show on top of it, watch out! I think maybe we should’ve made her a cocktail. “Okay, we’re here!” Now my stomach was giving me the signal that I was indeed nervous. We were supposed to meet at a bench inside the studio and somebody would be along to take us in. I have to admit my heart sank a little when I saw how many other families we already waiting. There were certainly more than ten and I knew that our odds just got a little smaller. A majority of the families had come from out-of-state, which sort of made me think they had the upper hand. I mean, wouldn’t the show appreciate the families that traveled long distances just for a small chance of being picked? We were led in, briefed on the process, our wardrobe was checked and approved and nametags were placed on our shirts. It almost felt official. Eek! 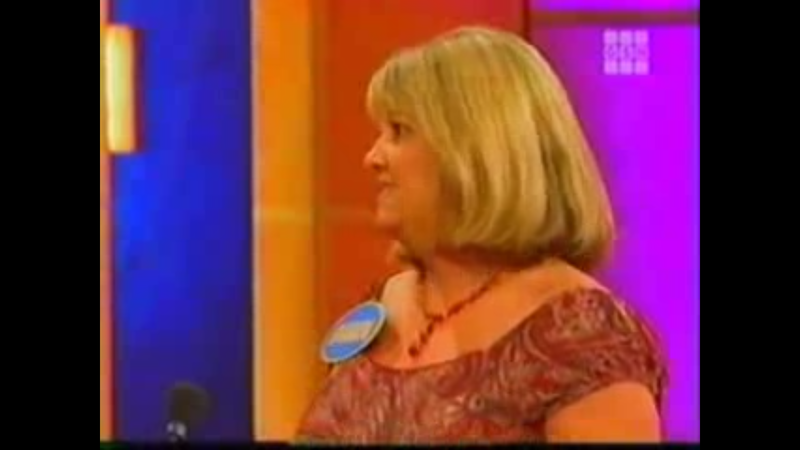 We actually had Family Feud nametags! Even if we didn’t get to play, that in itself was so cool! The room became very quiet when the producers came in to announce which family would be competing against the reigning champions. You could hear a pin drop. Screaming! Cheering! Jumping! Hugging! This was actually happening. We were led into the stage studio. I was surprised at how much smaller it seemed in person. The audience only held a couple hundred people and the stage was half the size I had imagined it. We took our positions behind the table. 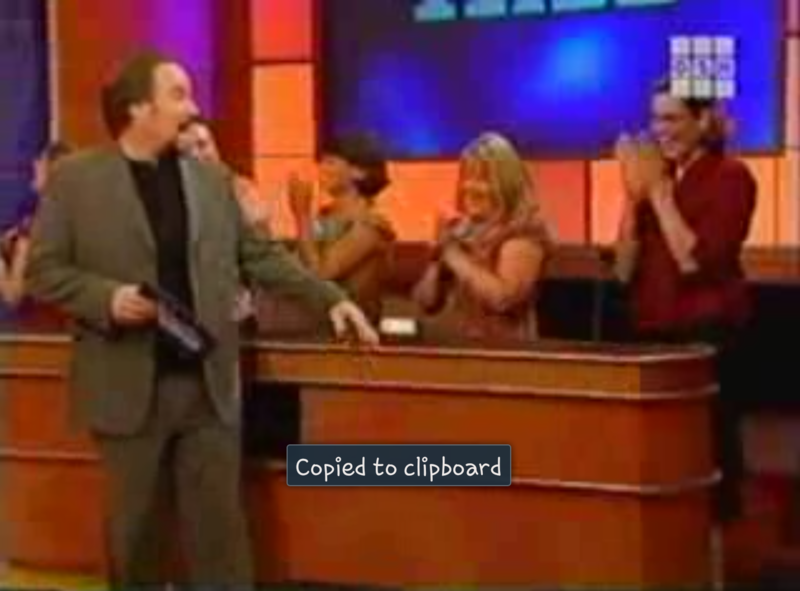 Then the music started and Al Borland appeared. 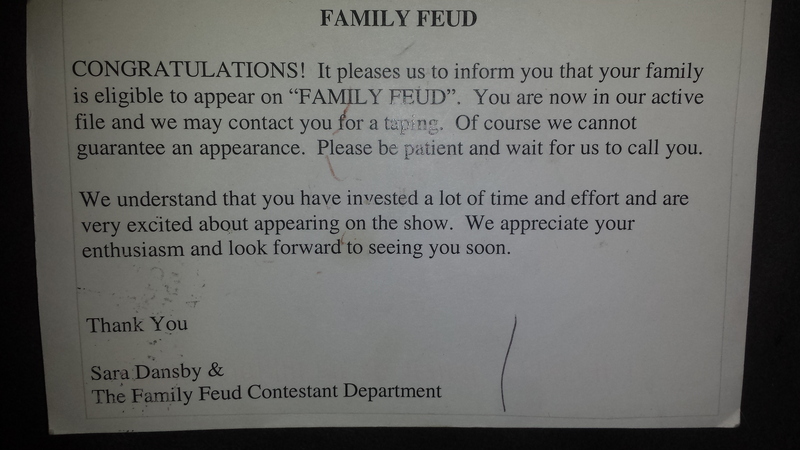 We were actually on the show. I was the first family member up. My heart was pounding in my chest and my nerves and hot lights were making me sweat. I felt intimidated because the returning champions had played on the stage before. They had some practice hitting the buzzer and knew how things worked. I was just praying that I wouldn’t have a major brain fart and be unable to speak. Thank God brain farts didn’t happen to me that day. Our team was quick, on fire and had a lot of the number one answers. 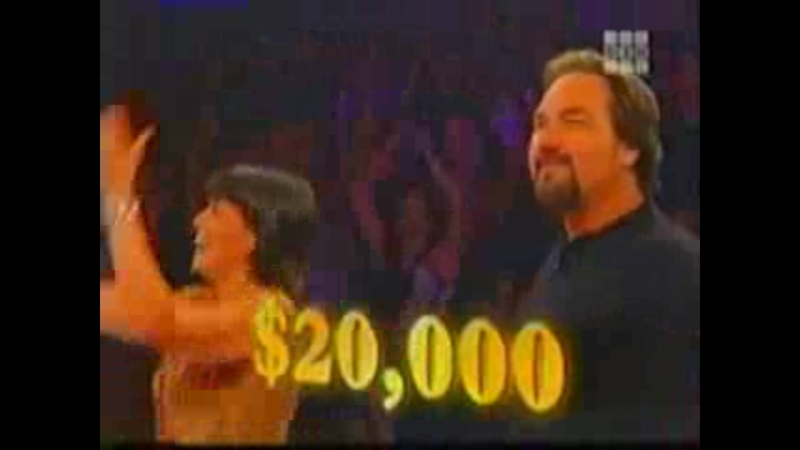 We smoked the first team and were given a chance to win $20,000! Kim and I would be playing for fast money. Basically, “Fast Money” is a list of five questions. Each answer has a point value and you want to get the number one answer. You get 25 seconds to answer the question. If each team member can accumulate 200 points, you win the jackpot! Kim was taken backstage and sound proofed. I was brought to the center of the stage and stood next to Al. The rest of my team watched from the side. I made eye contact with my dad, Bebe, Duane and Vanessa, who were watching from the audience. They made me the most nervous. During the commercial break Al kept saying, “You’ve been playing great. Don’t worry, you’ve got this. Just remember to listen to the entire question before you answer.” Okay! Okay! Okay! Take a deep breath and clear out those jitters. There are only 200 pairs of eyes and the entire nation staring at me. Not to mention the incredible pressure of not messing up in fear of letting my family down. No, no reason to be nervous at all. 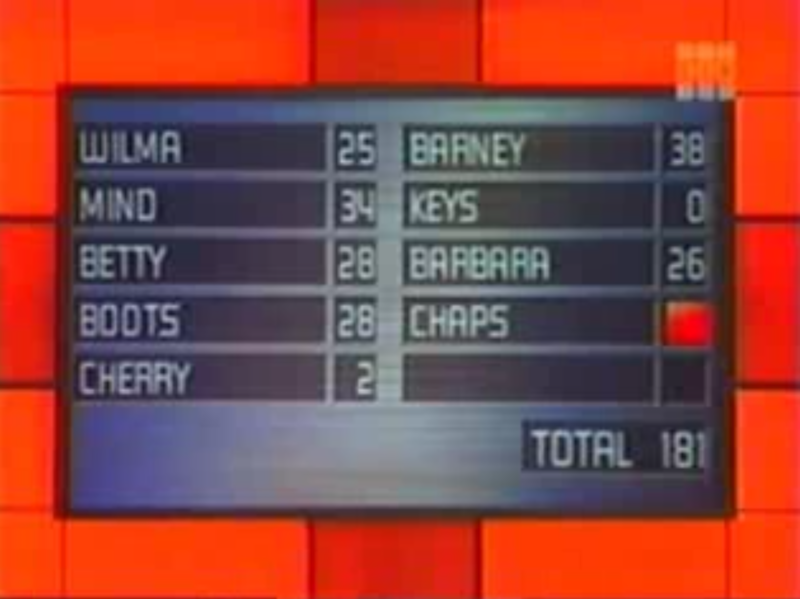 Question 1: Name something associated with The Flintstones? 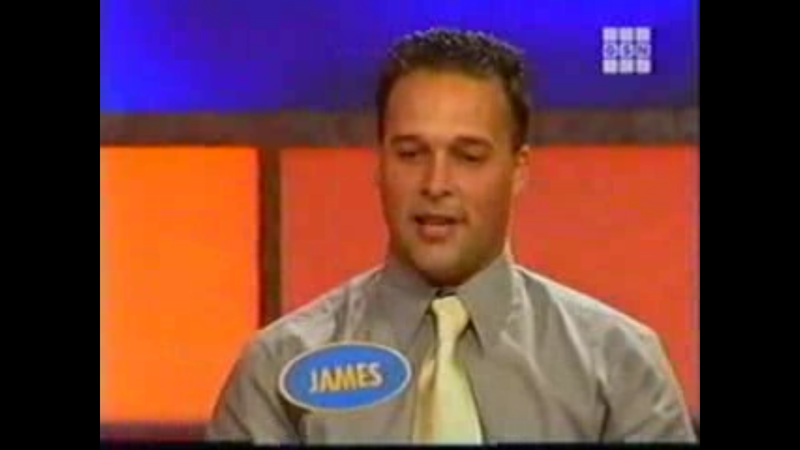 Question 2: Name something you lose as you get older? Question 3: Name a woman’s name that starts with the letter ‘B’? 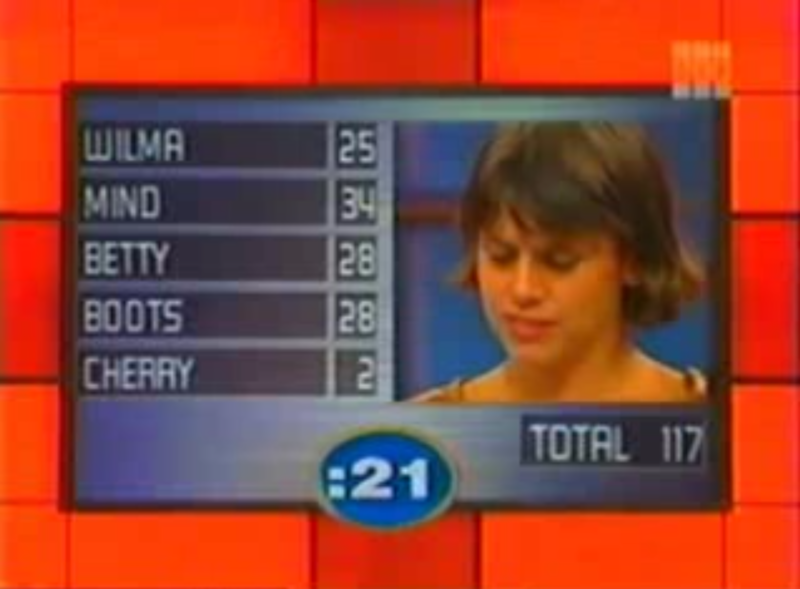 Question 4: Name something a cowboy wears? Question 5: Name something you put on top of ice cream? Cheering from the audience erupted when I broke 100 points with two questions still waiting to be revealed. This made Kim’s job easier. Kim was smiling and preparing herself for fast money. I could barely contain myself. The questions seemed easy enough and Kim is quick-witted. I knew she could do this with no problem and time to spare. “You’ve got this Kim!” Our entire team was shouting the whole time. Everyone was so incredibly excited. 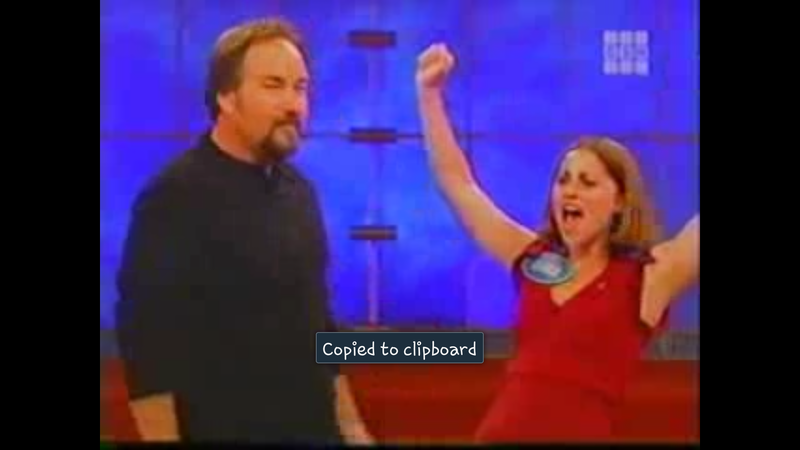 Al Borland had to repeat several of her questions because we gave almost identical answers. This didn’t slow her down a bit. We didn’t even have to reveal the last answer because we hit 200 points! “Congratulations! 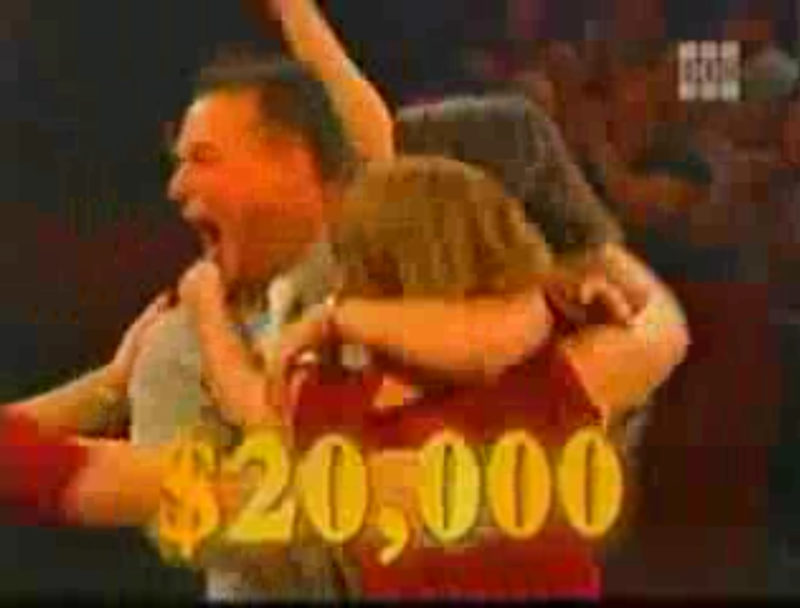 You just won $20,000!”I remember Jim’s mouth opened wide as can be. He was cheering, jumping and swinging his arms all around. Jennifer was hugging everyone around her. My mom was running to the center of the stage to give Kim a giant hug. Our family members in the audience were on their feet, clapping and cheering with smiles as big as the Joker’s. The elation was indescribable. Everything became more intense, the music became louder, the room got hotter and the cheering was ear-piercing. The amount of adrenaline being pumped through our veins was insane. 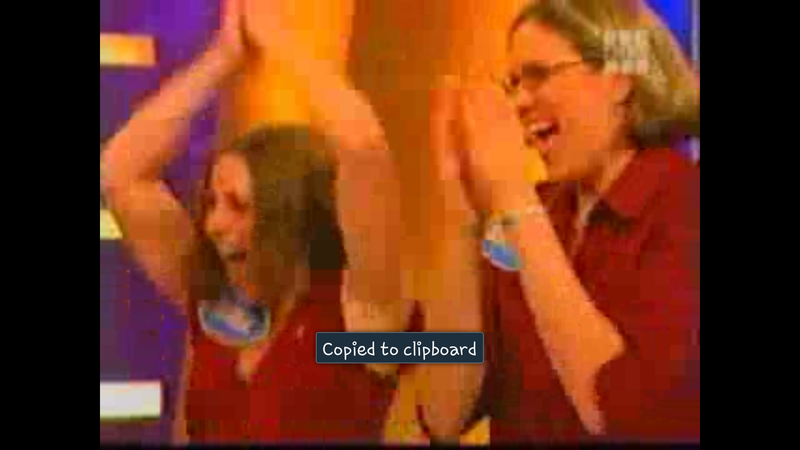 We were the new Family Feud Champions! We went right into our next episode. This time we were introduced as the reigning champions! It sounded great in my ears. We were all so pumped from the first winning that the second seemed easy as pie. We won again, but this time we didn’t hit the jackpot. Next was the third episode; still the champions. We were getting tired and hungry. We’d been at this game all morning and it was incredibly hot under those lights. With all of the highs and lows of the adrenaline rushes, it was a surprise we were still infuego! But we were and we won, AGAIN! Episode four was starting. We were losing steam. The other team had won the first two rounds and the only round remaining was the triple round. The triple round is when your point value triples for every correct answer. The only chance we had to remain the champs was to steal this round. Our opponents had to miss at least one answer and pass it to us. Then we had to get it correct to steal the game. Moses, Matthew and Mark were already on the board. Our team huddled. I could not think of anyone else at the time and neither could anyone on my team. 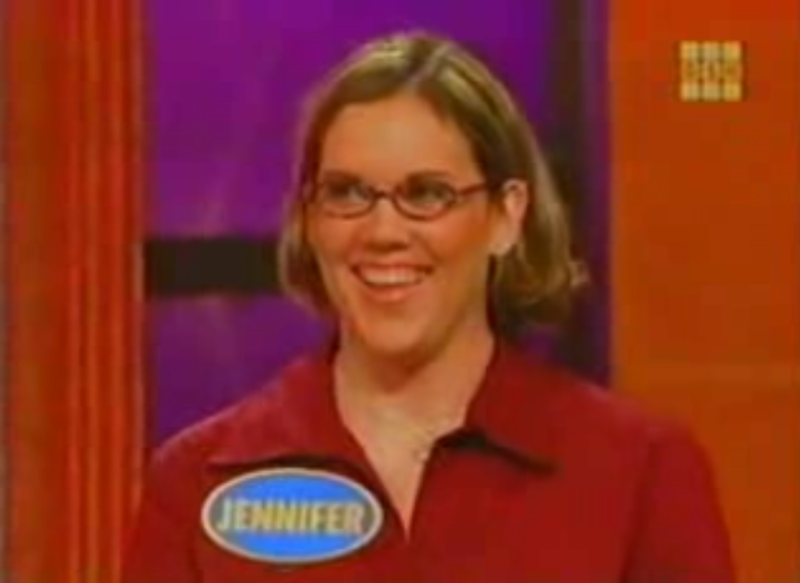 At the last second, Jennifer’s eyes got big and the light bulb turned on. She whispered ‘Malachi’ to me. I whispered back, “Does everyone agree?” Everyone nodded in agreement. I don’t find it remotely ironic that we won the fourth round because of a biblical question. Jennifer saved us because of the intense bible study she had been doing. Once again, we went on the wild adrenaline craze. 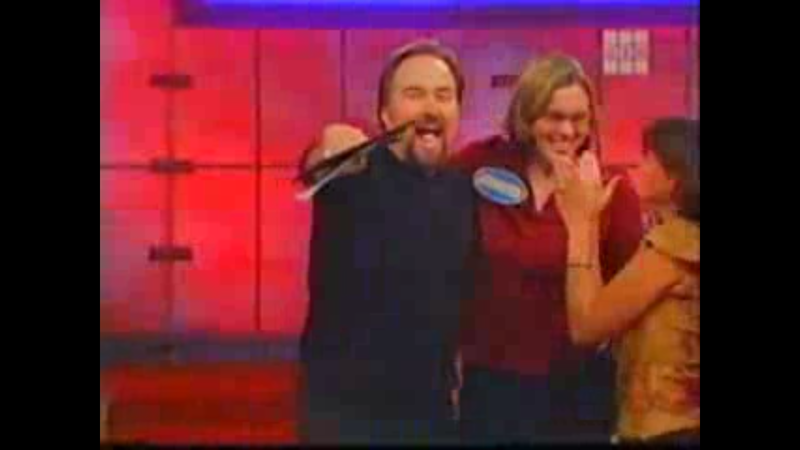 My mom was hugging Al Borland, saying thank you over and over again. All of our voices were pretty much shot and I was pretty sure my adrenal glands were too. Round five. Could we do it? Yes, we could and we did. We had been on our feet taping for about 8 hours by the end of the day. 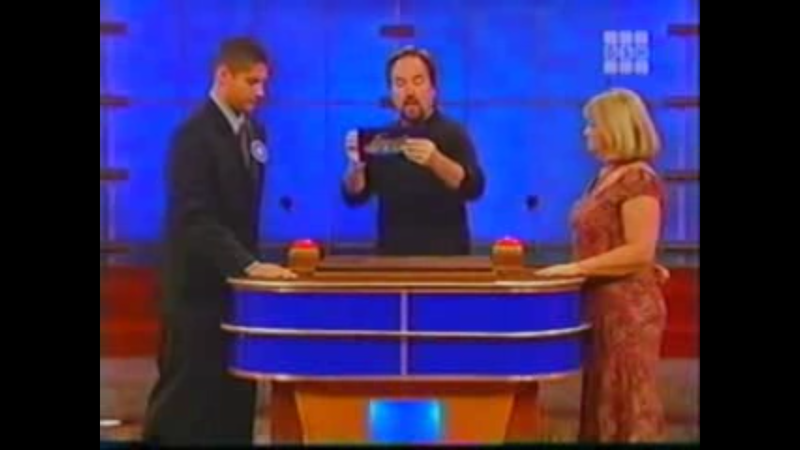 The maximum a family could win was five games in a row, according to the show’s rules. We walked away as the reigning champions and held the ‘undefeated champions’ title for the rest of the season. What an incredible blessing. Just being able to play on the show is a great experience, but when you throw in the jackpot, the experience is definitely sweeter. God was once again taking care of my family. Just when it seemed impossible to pay off debts and to move forward, God stepped in and took over. Things are always taken care of. I was finally beginning to realize that I needed to step back and let God handle my worries. He always came through in unexpected, unfathomable ways. Oh, and Mom? Thanks for forcing me to make “the call”. You were, cough- cough, right! This entry was posted in faith, family, hope, Uncategorized and tagged blessing, Faith, family, Family feud, overcome, prayer, sisters, strength, triumph, working. Bookmark the permalink.